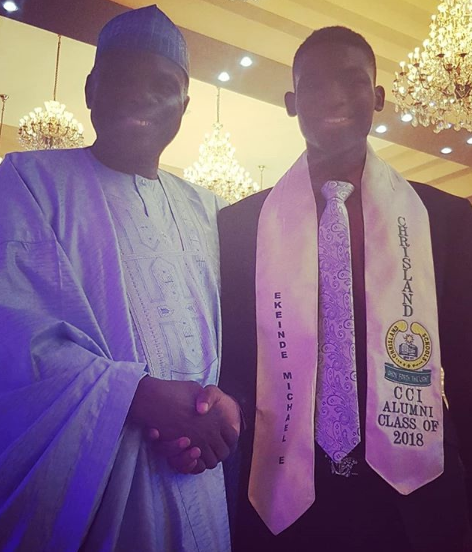 Actress Omotola Jalade-Ekeinde's son, Michael, graduated from secondary school yesterday July 14th. His mum and dad, Captain Michael Ekeinde, were at the graduation to celebrate him. ''We can't Stay stillll! Our #Lastbornchild is Graduating! MickyBoy I know you warned us not to embarrass you today but pls forgive us in advance.